I was not prepared for the drive up to Mussoorie. We wound around hundreds of hairpin bends and steep cliffs with no barriers. It was high and the road was never-ending. I was so taken in by the sights, I didn’t even think about how sick I should have been feeling. It was early evening and we had been driving most of the day. I hadn’t closed my eyes for a second in case I missed something. We were exhausted but buzzing. When the lights of Mussoorie first came into view, they were far away. My comment to Tony was, “When we get up there, just leave me there. I’m not ever coming down again!” We arrived on the mountain just after sunset. It was dusk by the time we got up to 7,000 feet. We took the wrong turn and ended up on the Library Side of Kulri Bazaar. The bazaar was closed to traffic so we had to turn around and go all the way down and around the mountainside up to Picture Palace. In many places the roads were just wide enough for one car and the tiny little houses and shops were fascinating. It was so pretty and quaint. It reminded me of a street scene from a Charles Dickens story. There was an old, hundred year old feel to it. Everything seemed so small. Even the people looked small. There were lots of little men carrying heavy things and many of them were sitting on the steps of shops along the road. I asked Tony, “Who are all these little people?” His reply was, “They are coolies from Nepal.” For someone straight out of apartheid South Africa, that sounded weird. They were a group of people? Weren’t all Indians “coolies”? Tony wearily explained that it was the name given to unskilled labourers or porters. I felt so awful that I had been calling all Indians “coolies” all my life. We managed to get up the steep Mullingar Hill, revving all the way, hoping we wouldn’t have to stop for an oncoming car. We decided to spend two nights at the Barton’s house even though they weren’t there. Their niece was there to greet and host us. She asked us what we were going to be doing in Mussoorie. When we told her we were going to start a community her response was, “Why would you want to do that? 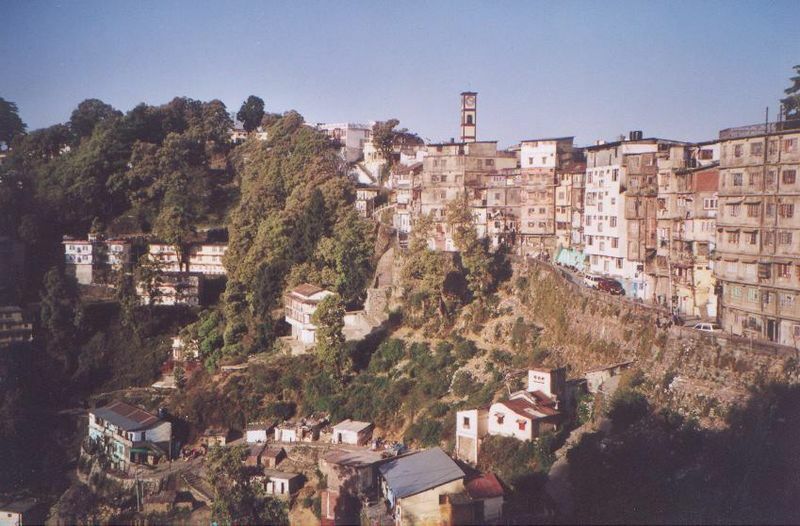 There are so many churches here.” That was our first night in Mussoorie. “Encouraging,” we thought. The next day was Sunday so Tony got his guitar and the girls and I sat around him in the lounge. We worshipped, shared a bit and thanked God for getting us there safely. Asha asked what we were doing and Tony said, “We’re having church.” That was her first church meeting with no people. On Monday we got back into the jeep and drove another 1000 feet to the top of the mountain. We went past four little shops on the right hand side and drove around the final bends of our journey. Down one very steep driveway later and we arrived at The Firs. I knew then why it was called that. We were in the middle of a thick forest of fir trees. As we stepped out of the jeep, it felt as if we had left the “real” India behind. It was so quiet and it was cold. We were met by Canadian landlady, Julia Malik who spoke with an unusual accent and in a very high pitch. While we were doing the formalities, Ash pulled me down to her level and whispered in my ear, “She sounds just like Mickey Mouse.” It was hard to keep a straight face because it was true. Julia was sweet and had been in India for about 40 years. She was so far into the culture, it was hard to tell where she started and where it ended. We couldn’t imagine her living anywhere else. She showed us to our little cottage called “Morning Glory”. It was fully furnished with one bedroom, one bathroom/toilet, a lounge and a small kitchen. It was musty and dimly lit but we were just happy to be there. We unpacked a few necessities and made up the small bed for the girls. All we could think of was a good sleep in a comfortable bed. That wasn’t to be. Our mattress was a lumpy cotton one, probably as old as the house itself and our pillows were like slabs of rock. We lay on our backs and looked into the darkness. No matter how uncomfortable things were, we were safe, together and on a beautiful mountain. We had driven 2291 kilometers of crazy road from one end of India to the other and our journey had just begun. 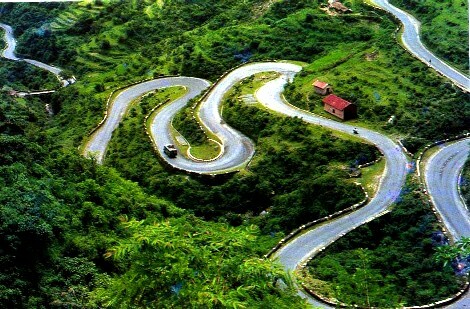 Now THAT’S the Long and Winding Road!!!!!!!! I remember when we visited you in Mussoorie the first thing you said when we fell out of that white ambassador with ashen faces was, “Don’t talk about the road. I don’t want to see video of it either.” Do you remember that? Our first experience of India and her roads (and I’ve still got video footage if ever you change your mind…). Such a beautiful part of the world.